If your website is an Internet facing production site, you will need a certificate purchased from a trusted certificate authority (CA), such as www.verisign.com. If you will be using a certificate from a trusted certificate authority or a self-signed certificate, you will need to add the certificate to IIS. The certificate must be a Personal Information Exchange (PFX) file. In the left panel of IIS, select the root of your server. In the middle panel, select Server Certificates. In the right panel, select Import. In the left-panel of IIS, right-click on the website you want to configure to use HTTPS and select Edit Bindings. In the Site Bindings dialog box, select Add. SSL certificate = Click the Select button and select the public certificate you would like to use. Click Close to close the Site Bindings dialog box. In the left-panel of IIS, right-click on the website and select Refresh. You can now navigate to your website using HTTPS. If you are using the certificate that ships with IIS, or your own self-signed certificate, the web browser will complain that the site is not secure. Since you know the website is actually safe, you can proceed to the site. The web browser is stating that the site is not secure because the certificate is not trusted. 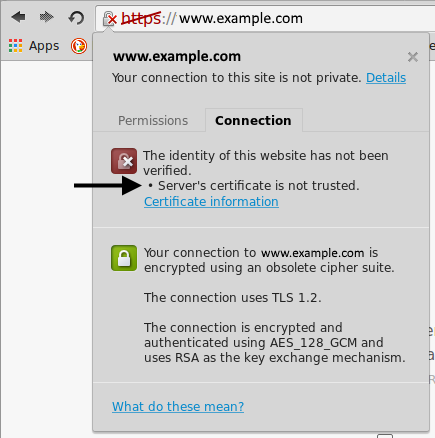 Te certificate is not trusted because web browsers only trust certificates issued by a reputable certificate authority (CA), such as www.verisign.com. 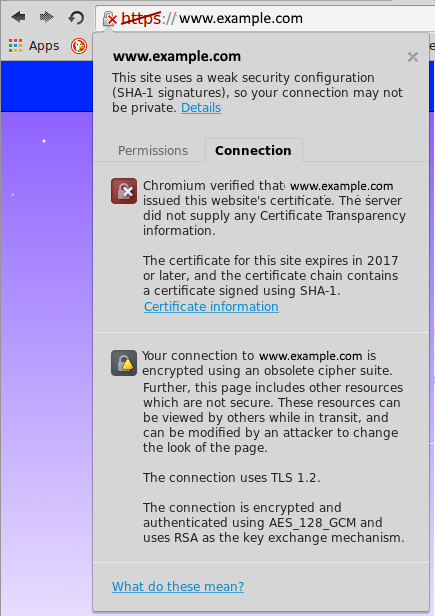 After configuring Chrome to trust a self-signed certificate, Chrome will no longer state that the Server's certificate is not trusted. However, Chrome may still strike out HTTPS, and state that the site uses a weak security configuration (SHA-1 signatures). 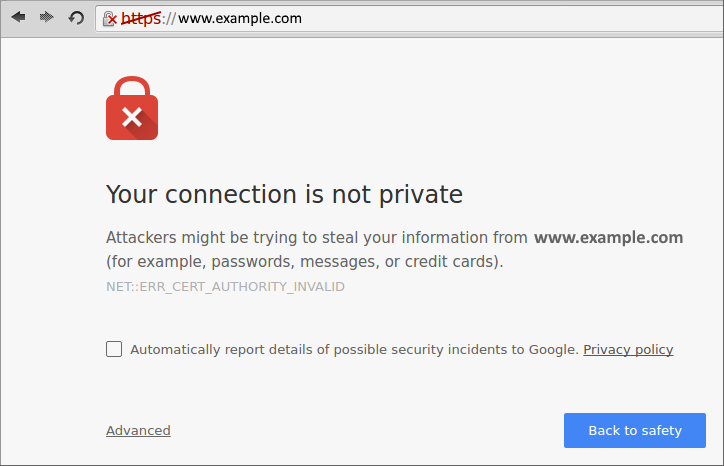 To remedy this issue, ensure your self-signed certificate is signed with SHA-2 or above. In IIS, select your website and then select SSL Settings. Check Require SSL and Ignore and select Apply. 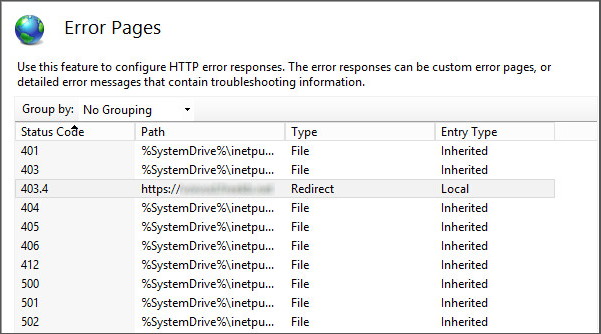 Note: Navigating to your webiste should now produce "403 Forbidden: Access is Denied"
In IIS, select your website and then select Error Pages. Select OK. 403.4 should now be listed on the Error Pages.